When the earthquake hit Virginia on Tuesday, it did not expose bedrock but something far more important. Within minutes we confirmed that a 5.8 or 5.9 earthquake had hit on the other side of the mountain. The epicenter was Mineral, Va., a small town of 500, between Richmond and Washington. Quickly, cell service was overwhelmed. Facebook lit up like a firecracker. Wolf Blitzer was on air instantly giving the blow by blow. We, Easterners, are not quake savvy like Californians, who laughed at us, but they should not be so quick to chuckle. It could have been different. For us here in Harrisonburg and most of the East Coast, it was just a little excitement. For others nearer the epicenter, however, it was frightening. Historic buildings in Culpeper, Va., were damaged. Brick facades fell off buildings crushing cars in Vienna, Va. Groceries tumbled from shelves and a house collapsed in Mineral. 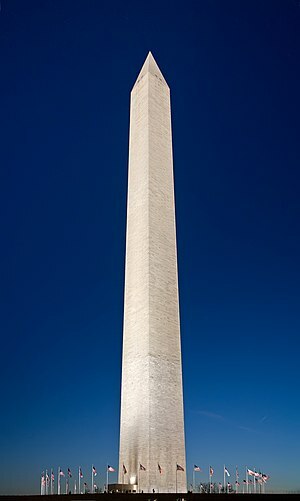 In perhaps the most symbolic result, cracks appeared in the Washington Monument. Earthquakes happen every day and most are non-geologic. They happen in our lives and have nothing to do with seismic activity. These human earthquakes aren’t always covered by the media. When a parent dies or a friend leaves us or even when a beloved pet dies, these all feel like earthquakes, not in the seismic sense, but earthquakes nonetheless. Earthquakes, big or small, personal or public, remind us of our fragility and often drive our humanity. Collectively over the quaking earth, we created a patchwork of communications of the heart. Our first thoughts were of each other, as they should be. Californians can laugh all they want at our response, but I’m glad to have this reminder that in a crisis, it is each other that matters more than monuments and buildings. Many posted a “funny” picture on Facebook of a single lawn chair overturned with the tongue-in-cheek message: 8.23.11 Never Forget. Funny, maybe. But it misses the point entirely. Earthquakes feel different the farther you get from the epicenter. That we don’t feel seismic activity, that we won’t be picking up rubble and repairing buildings, that we lost no lives does not mean that it couldn’t have been — or that someone else isn’t hurting more than we. We are just lucky. But if we are part of the human community, no matter how small our tremors feel — even if we don’t feel them at all — we should empathize with those close to the epicenter. We should care and not scoff at their reactions. The takeaway from Tuesday’s earthquake should be this — earthquakes of the heart are as powerful as earthquakes of the ground, and we all feel them with varying degrees of magnitude. On Tuesday and Wednesday, mothers and fathers left their sons and daughters at JMU for the first time. For them, it was a tremor in their lives far larger than Tuesday’s rumbling earth. Some may scoff at their tears, but others will reach out to comfort them. Change is sometimes hard. Sometimes change feels like an earthquake. And no one survives earthquakes without each other. No one should have to.